Latter-day Saints use the Western calendar, also known as the Gregorian Calendar, established in 1582. They generally observe the national holidays in the various countries where they live. For example, in the United States, LDS members (Mormons) celebrate Independence Day on 4 July and in Canada they observe Canada Day on 1 July. Mormons, like many people, also observe birthdays and wedding anniversaries as special days to celebrate with family and friends. Additionally, members of The Church of Jesus Christ of Latter-day Saints (Mormons) observe some of the main Western religious holidays such as Christmas and Easter, even though they believe that these dates probably do not reflect the actual historical anniversary of the birth of Jesus Christ or his Resurrection. However, they are grateful to celebrate these two supernal events with other Christians who follow the Western religious calendar. Members of the Mormon Church also punctuate their year with celebrations focusing on important key-dates in the Restoration story–including Pioneer Day generally held on 24 July, which commemorates Brigham Young’s arrival in the valley of the Great Salt Lake at the end of the famous Mormon exodus in 1847. In Utah, this day is also an official state holiday which emphasizes the historical significance for the founding of the state instead of the religious character generally given it by Mormons from outside of Utah. 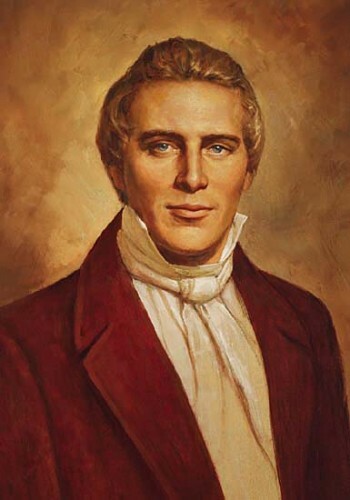 Other special dates include the anniversary of the restoration of the Priesthood on 13 May 1829; the anniversary of the Mormon Church’s founding on 6 April 1830; and the anniversary of the Prophet Joseph Smith’s birthday on 23 December 1805. On these occasions Church members may participate in special activities such as the traditional “Fathers and Sons Campout,” which brings the men of the Church together to celebrate the restoration of the Aaronic priesthood by John the Baptist. Additionally, the Saints recognize that General Conference Weekends, generally held on the first weekends in April and October, are special times each year when they gather family members together to listen to Church leaders speak on Saturday and Sunday. Finally, Mormons gather each Sunday (in Israel on Saturday and in some Muslim nations on Friday) to celebrate the most important day of the year, the Lord’s Sabbath that also commemorates the raising of Jesus by God on the first day of the week. This day is considered most sacred and Latter-day Saints attempt to make it a holy day instead of just another holiday by worshiping with other members of the Mormon Church in a local chapel and taking time to emphasize good works and family activities appropriate for the day.